Make any Landscaping or Gardening Resolutions? If you’re thinking that you want to be outside more and try new things with your yard, you have come to the right place. We love hearing about new projects, seeing finished yard installations, and helping create designs for our customers that last them a lifetime. With the new year here, it’s time to start thinking about your yard. Should you add some new plants to the back? Or redesign a section? Or get a whole yard makeover? With the low temperatures this time of year, it is good for homeowners to be diligent about how much water plants are receiving and how often. During the colder months, it’s best to water in the morning so that the water has time to absorb into the soil throughout the day. You will still want to water the same amount for each watering session. You just don’t need to water as often! Click here to read more about our Watering Guide Schedule. Using the proper fertilizer during this crucial time ensures that your landscape is regaining all necessary nutrients. Your landscape is getting a nice break from the heat now, but it needs a bit of extra attention during the cold weather. Take note of your plants, trees, and lawn to determine if they need light fertilizing to get them through the winter. The better care they receive now, the quicker they will bounce back when spring is here again. Click here for all our fertilizer products and see which ones best fit your lawn care needs! 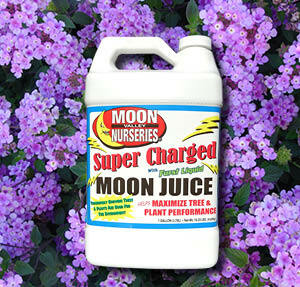 Our nursery experts recommend using SuperCharged Moon Juice prior to the cold weather hitting your yard. Moon Juice helps accelerate moisture intake along with providing vital nutrients that plants might be losing because of the cold. This will help protect your trees and plants from the freezing temperatures and give them a jump start when spring arrives. The winter season is a good time to trim off any dead or damaged branches that may have suffered from cold damage. Make sure to also cut back any excessive branches and sucker branches so that the tree is getting optimal sunlight and warmth. 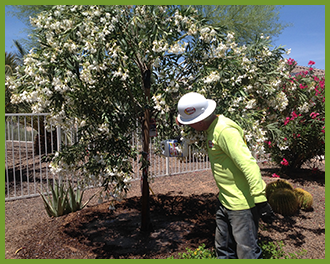 Click here for more information on all the tree care services we offer in Arizona. At Moon Valley Nurseries we know how time-consuming and stressful designing your own yard can be when you try to tackle it all on your own. As soon as you walk into our nursery to the moment we drive away from your freshly planted new yard, we can handle every step of the design process for you. You can find our expert designers available at every nursery location for in-store consultations or schedule an at-home consultation. Our designers can get your whole yard done from shrubs to trees, we do it all and we do it right! 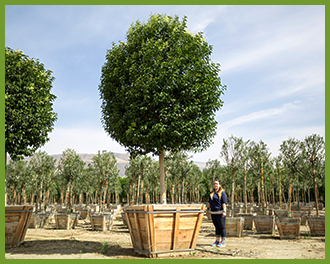 From planning to free planting on all specimen-sized trees, we make sure we have everything covered for you. Everyone loves the feeling of growing their own food and Arizona is a great place to grow nearly anything and everything for your dinner table. 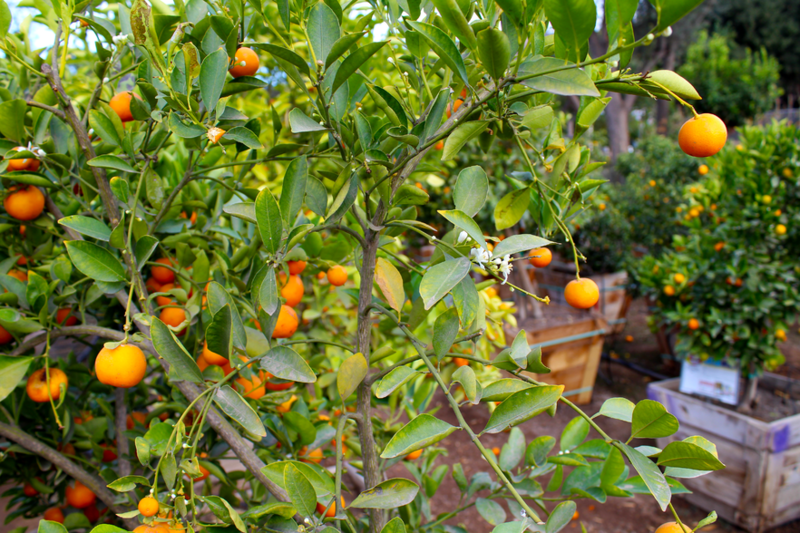 Citrus trees are a popular addition to your yard and they produce fresh fruit throughout the year. Below are some of our favorite that do best when planted this time of year. 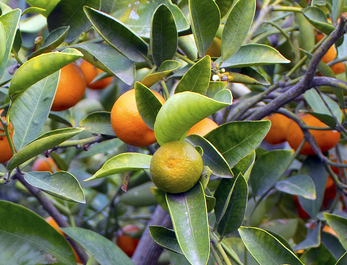 Orange trees are one of the most popular citrus trees to grow in the southwest region. There might even be neighborhoods around you named after the old orange farms that existed, or still exist, in that area. Our weather conditions make for the perfect growing environments for this citrus tree. Some of the best varieties to grow in our region are Navel, Sweet, Tangerine, and Tangelo oranges – all delicious! Lemons are one citrus variety that can be considered ever-bearing as they often produce two crops per year. Meyer lemons are a favorite due to their many culinary uses and their thin rind that makes squeezing the freshest lemon juice a breeze! 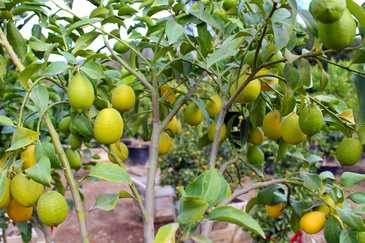 Some other great varieties to plant are Lisbon and Eureka lemons. Lemon trees need a lot of sun, so they do best when planted somewhere that lets them have full sun exposure through the year and they can adapt to most types of soil, so the focus is making sure they get sun on them! Red Grapefruits are another tree that can be planted to increase the length of time you can harvest fresh citrus from your yard. These fruits are typically ready January through May and are again ready for harvest later in the year. The most popular types of grapefruits to plant and grow are the Red and White varieties. Grapefruit trees can be fast growers with the perfect combination of rich soil and full sunlight. Some can even grow up to 24 inches in a year depending on the type of tree. 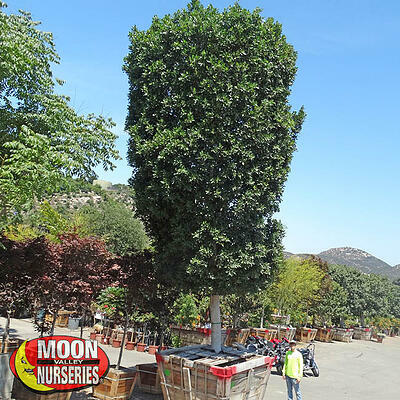 For a limited time, Moon Valley Nurseries is offering an amazing deal on all our specimen-sized trees. If you purchase any specimen tree, you will get half off! If you buy two, you’re getting two for the price of one and so on and so on. Now is the time to get new trees in your yard that are already matured so you can enjoy them from the day they are planted. 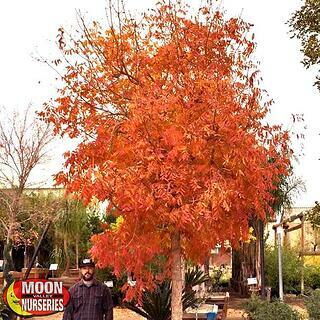 Stop by and check out all our best trees for winter planting at any of our Moon Valley Nursery locations. Our nursery pros are available to handle any landscaping questions, requests, and needs you may have for your yard and get some #freeplanting started and get your whole yard done today! After a very enjoyable fall and early winter, the weather forecast for the upcoming weeks in the Valley is calling for some very cold nights. In fact, we are already beginning to see some frost and very cold temperatures in areas around town. After your trees and plants have thrived throughout the fall season it is important to take the proper steps to protect and care for them, so they will be healthy once spring shows up and reach their full potential. We receive many questions from our customers regarding tree and plant protection and about what should and shouldn’t be covered, when it should be covered, for how long, what to cover it with, and if there are other protective steps you can take to protect your landscape. Our Nursery Professionals and Tree Care team have provided us with some great tips and protective measures to ensure everything in your yard makes it through these next few weeks. Plants and shrub materials such as Bougainvillea’s, Lantana, Hibiscus, Tropical Bird of Paradise, Boxwood Beauties and younger Citrus trees are some of the more common landscape items that are affected by the cold weather. If you don’t know the types of plants you have, take some photos and bring them down to the nursery so we can help you figure out which ones might need extra protection this winter. One of the easiest ways to prep your plants for a cold night is to water them heavily the night before a freeze. Once covered this will create humidity, which means that the air will retain a little more warmth than dry air. Coupled with our protective blanket you can create a small micro climate for your landscape that will provide even more protection. 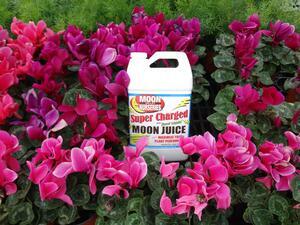 Our experts also recommend using SuperCharged Moon Juice prior to the cold weather hitting your yard. Moon Juice helps accelerate moisture intake along with providing vital nutrients that plants might be losing because of the cold. This will help protect your trees and plants from the cold weather and give them a jump start when spring arrives. You can also use incandescent lighting (older warming bulbs) to help protect trees from frost damage. Focusing the light onto the tree will create heat that will stop frost from forming on the tree. Unfortunately, incandescent bulbs are becoming harder to find but they are other options such as infrared heat lamps. Cover your plan ts before sundown and make sure to secure the covering against wind that might rip it off the plant during the night. 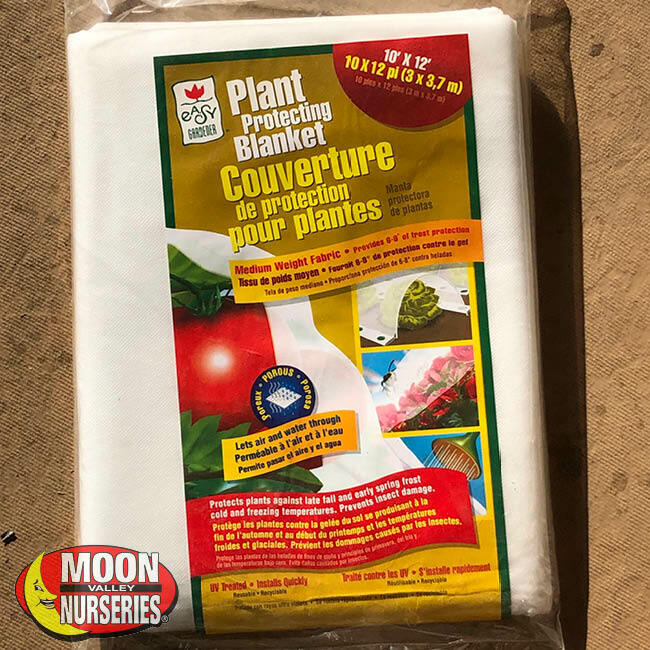 When covering your plants our experts recommend using our Plant Protecting Blanket, which can be found at all our Moon Valley Nursery locations. The Plant Protecting Blanket has been designed to be lighter, yet provide better protection, than traditional materials used for landscape fabric. This cloth blanket helps insulate your trees and plants and retain heat and moisture. At the same time, it will help retain heat coming from the soil. Burlap or cloth materials can also be used, but never use plastic as a cover for any plants or trees. Leave your plants covered until the sun has risen and temperatures are above freezing. Repeat this process daily during freezing temperatures. And one more time for safe measure - DO NOT USE PLASTIC AS A COVER. 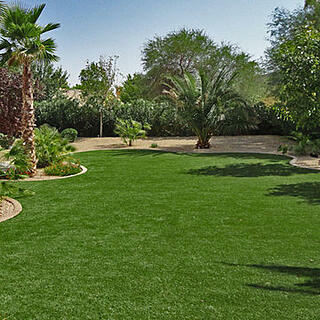 Moon Valley carries all the material and supplies you need to help protect everything in your yard. From ready-to-use Cloud Cover to bulk Plant Protection Blankets that can be cut to order, we have you covered. Call our tree care team today with any questions you might have or bring in photos of your plants to the nursery, so we can make sure you have everything you need to protect your plants this year. We don’t always get below freezing temperatures, but when we do, Moon Valley Nurseries is ready and here for you. Knowing what to do during these few weeks of super cold nights will keep your landscape looking great throughout the winter, keep it healthy, and ready for the spring! Moon Juice to the Rescue! 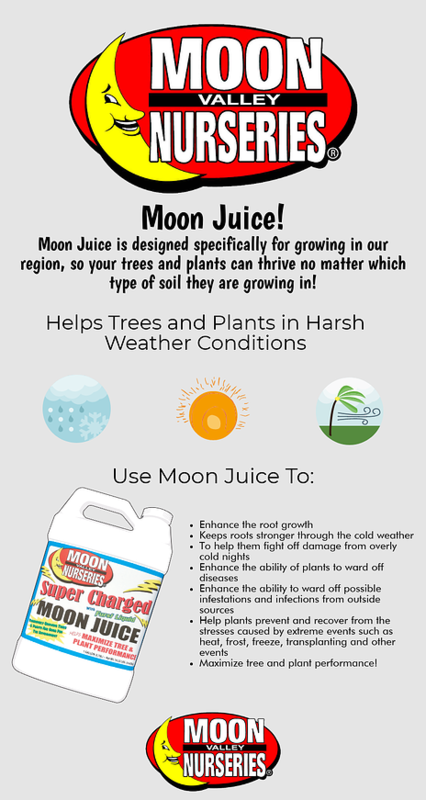 Moon Juice is great for trees and plants all year long! It’s true! 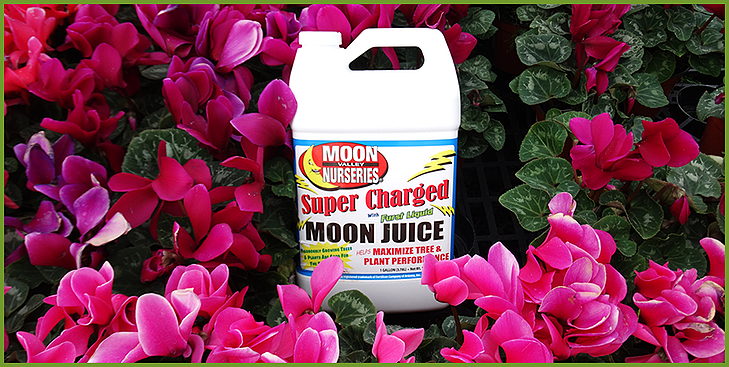 In fact, our Super Charged Moon Juice is especially useful in helping trees and plants get through harsh weather conditions, such as extreme cold, heat, damaging winds, and more! Get this - roots are growing when it's cold outside and the ground is warm and using Moon Juice enhances the root growth! Cold weather has got nothing on Moon Juice! After all, it's made to keep roots stronger through the cold weather and helps them fight off damage from overly cold nights! Our region has tough soils, from clay to sand and mixed soils to name few. That can be an issue, but not with our Super Charged Moon Juice. You see, Moon Juice is designed specifically for growing in our region, so your trees and plants can thrive no matter which type of soil they are growing in. How does it do it? Well, every bottle of our Super Charged Moon Juice contains Furst Liquid Technology. This technology is a proprietary blend of organic enzymes and amino acids so that it can stimulate the growth signals within trees and other plants. That’s not all it does! This blend can also increase nutrient uptake so that it can promote new growth. Also, it can help improve fertilizer efficiency and can be used to help enhance the ability of trees and plants to ward off disease. This incredible Moon Juice blend is comprised of every tree and plants three most essential micro-nutrients - Iron, Manganese, and Zinc. These are the three most critical micro-nutrients required by every plant, and these nutrients are typically deficient in the soil where we live. Moon Juice comes to the rescue because it not only has the three most essential micro-nutrients required, it also includes Thiamine mononitrate (Vitamin B1), which has a beneficial effect on new plantings! Maximize tree and plant performance! 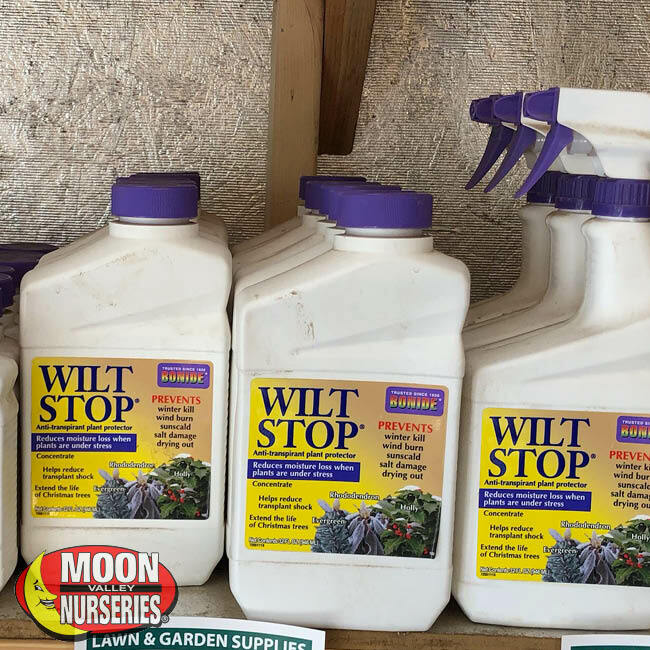 You will want to use Moon Juice immediately after new transplanting, freeze or wind damage, stress caused by heat or any other stressful events. Don’t worry, using Moon Juice is very easy! In fact, all you have to do is follow the easy to follow directions labeled on the package! Just mix with water and apply to the root area, it really is that easy! The amount you want to use will vary by the size and type of trees and plants, so just be sure to read the usage directions on the bottle label, and you are good to go! Always be sure to water trees and plants thoroughly after applying any nutrients and fertilizers, and that’s it! Where Can I Get Super Charged Moon Juice? 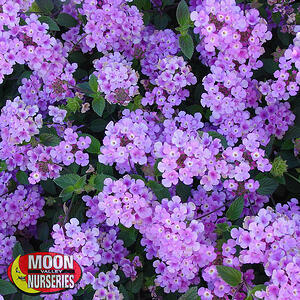 Moon Juice is available at any of our Moon Valley Nurseries! Anyone in California, Arizona, and Nevada can take advantage of this amazing blend so that trees and other plants can thrive under a myriad of conditions! Click here to find your nearest Moon Valley Nurseries location and be sure to check out our complete line of fertilizers and nutrients specifically for where we live! No doubt about it. We’re fortunate to live in the Southwest. While much of the east coast of the USA is busy shoveling snow off their driveways and scraping ice off their car windows, we get to enjoy the sunshine and the great outdoors. Yes, we're often wearing shorts and a long-sleeve shirt hiking one of the 180 miles of trails in the Phoenix area, exploring Red Rock Canyon National Park in Las Vegas or hanging out along the coastline and gorgeous beaches of Southern California. Yep, we got it good! We also get to enjoy our beautiful landscapes and plant some trees, shrubs, and do some gardening! Of course, it can get cold, and homeowners will need to prepare for the colder temperatures. Since we are still experiencing relatively high temperatures throughout the Southwest, this is a great time for planting. With that said, we spoke with our experts, and we’ve compiled some tips, tasks, and suggestions so that you can keep your yard thriving during December and into the new year. Landscape and Garden Tips That You Can Use for December! Continue watering your plants. However, you’ll want to change the watering schedule for the trees, shrubs, and other plants in your landscape. Since the temperatures are cooler and there is less sunlight, the soil stays moist for a longer period so that you do not have to water as frequently. Make sure you are always watering deeply and allowing time so that the soil can dry out between watering. If the weather is dry feel free to water your lawn, shrubs, and small trees occasionally. It’s good practice to apply a layer of winter mulch so that it can protect your perennials after the first few freezes. Avoid any major pruning during this time. That said, you’ll want to remove any dead, diseased, or damaged branches from trees and shrubs. You’ll want to fertilize your lawn after the first mowing. Cool-weather vegetables can be planted right now. These vegetables include beets, carrots, chard, lettuce, leeks, peas, potatoes, radishes, spinach, and turnips. You can also plant asparagus, broccoli, cabbage, and cauliflower. This is a great time to prepare the soil for any new shrubs or rose garden. To prepare the soil, you’ll want to dig it up, remove weeds, and add compost. This is an ideal time to design a new landscape and upgrade your garden! Ask us how! Grow an edible landscape and toast to healthy eating! 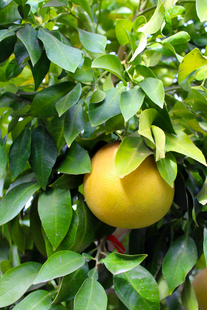 Our Fruit and Citrus trees are grown specifically in our local climate so that they are guaranteed to produce! 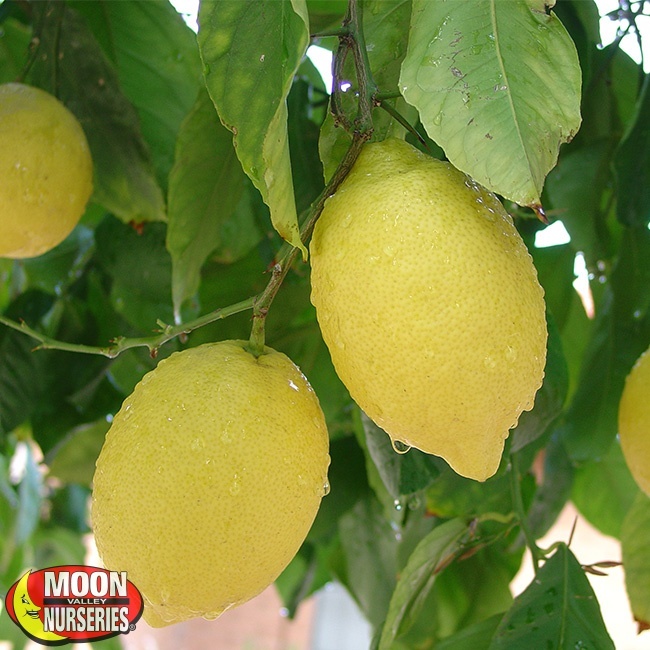 With Moon Valley Nurseries, you can purchase #fruittrees and #citrustrees at fruit producing age, so plant them now, so they are ready for next spring! 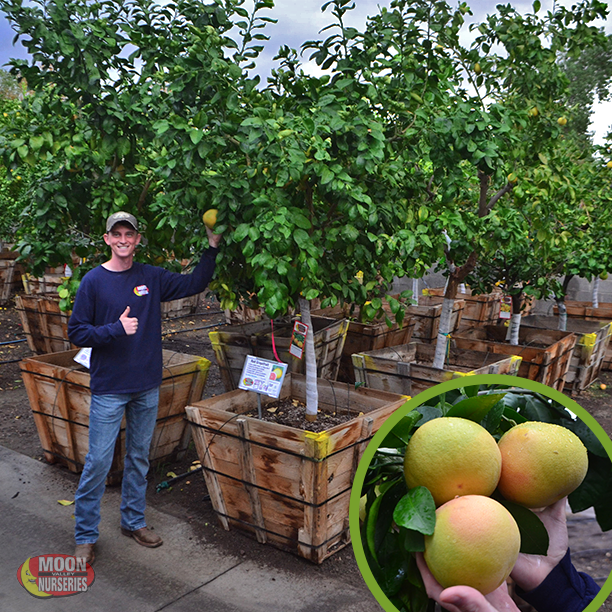 Of course, you can always visit your nearest Moon Valley Nursery to purchase one or two or three or more of our fruit trees bearing citrus and fruit right now! Call your closest local Moon Valley Nursery to find out what we have in stock! Why settle for just one kind of orange variety when you can have multiple! For instance, at Moon Valley Nurseries you can find the juiciest varieties perfect for eating whole, juicing, or adding flavor to recipes. We carry the best varieties such as Valencia, Blood Orange, Navel and more! All orange trees are attractive in any landscape, and when growing near windows, they can bring the sweet aroma straight into your home. Grow a few and use them to create an aromatic privacy screen that blocks out unwanted views in style! Enjoy a tangerine dream with each juicy bite of this scrumptious fruit! We have taken the guesswork out of finding the best and most reliable ones for growing in our area. 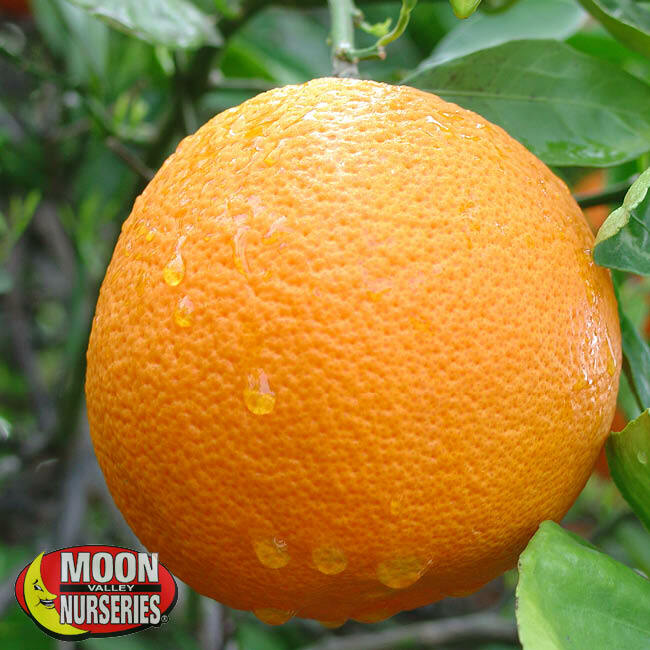 We grow the best varieties, including Satsumas, Clementine, and Mandarin! Tangelos are a tangerine and grapefruit hybrid that is full of mouth-watering flavor and juice! And speaking of Grapefruit, we also have the Sweet Ruby Red, Oro Blanco and more that are bursting with healthy juice! These citrus trees are beautiful landscape trees too, where the combination of orange, yellow and green colors can enhance any yard. Let them grow free form and use them to block unwanted views! Eat them whole, slice them up for cocktails or use them in a favorite recipe, any way you slice it you can toast to healthy eating! Lemons and limes can be enjoyed all year long and growing them means you won’t be in a panic the next time there's a lime shortage. 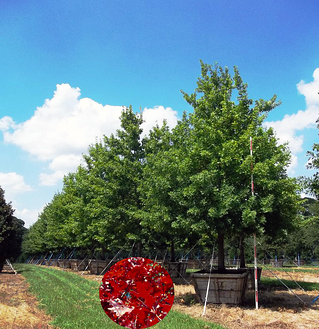 And since they are small to medium-sized trees, they are the ideal size for any landscape style or application. Besides growing them for citrus, they can be planted in rows to create a privacy screen or used as an attractive focal point. Deciduous trees are such a great tree to plant in our area – they can let the warmth of the sun in during the winter and can provide a massive amount of shade once the temperatures rise! December is a great time to plant deciduous trees so that they can get roots established and ready for spring! These deciduous shade trees are cold hardy, heat resistant, and can cast a wide umbrella of shade just in time for summer! In the winter, this seedless variety will lose its leaves so that they can let in the warmth of the sun. They have a fast growth rate, and we love their attractive velvety, gray-green leaves that make them a perfect addition to any yard, and when properly placed around a home, mature trees can reduce temperatures inside a house. Beautiful at any stage of its life, when young it has an attractive pyramidal shape before eventually branching out to create a vase-like shape with a beautiful structure that can also cast ample shade! In late fall, the leaves turn the tree to a vibrant red before shedding its leaves and letting in the sunlight. We like to plant this deciduous as a shade tree, street tree, lawn tree or as a focal point that is sure to attract the right attention. That’s right! With free professional planting on all box-sized trees, it cannot get any easier to transform your yard! Now is an excellent time to replace the trees the builders chose or start from scratch! Financing is available, so there is no reason to wait! 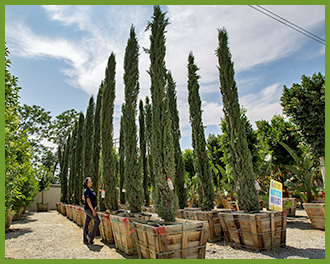 And with the largest premium-quality selection of trees and plants, and free professional landscape design available at any of our nurseries, Moon Valley Nurseries has got you covered for all your landscaping goals! Winter is coming, and this means cooler temperatures are headed our way. Our upcoming winter also means that we need to start adjusting water timers for cooler temperatures so that our trees, shrubs and other plants can thrive during this season. We can also do other things to help prepare our yard for cooler weather. Taking the proper steps to protect our trees and plants from the cooler temperatures ensures that they are ready for spring, which will be here before you know it! Don’t wait to get your yard ready for cooler temperatures. Here are some tips to get your yard ready for the winter from our nursery professionals! When winter comes, we experience colder days and less sunlight. These types of conditions can cause the soil to stay moist for a more extended period. From November to February, we recommend decreasing the number of times you water your trees and plants. Tip: Factors such as water, plant maturity, type of plant/tree, and soil types affect where to water, how much to water, how fast and how often to apply the water. What Time Should I Water? Our experts recommend watering in the morning, as this is when the ground is at its coldest point. In the morning, the temperatures are cooler, and the air is calmer so that these kinds of conditions will keep evaporation to a minimum. And let’s face it, the morning is the perfect time to get out and enjoy our garden! Knowing the proper watering depths is critical. The goal is to apply enough water so that it can wet the soil. We recommend using a pointed metal rod so that you can test how deep you have watered. Insert the rod into the ground right after watering. You’ll know you have added the proper amount of water if the rod slides effortlessly through the wet soil and becomes difficult to push once it hits the dry soil. For trees, the proper water depth is 3 feet, shrubs 2 feet, and flowers should be 12 – 18-inches. For best results, our experts recommend watering around the tree and not just at the base. We also recommend using Super Charged Moon Juice, which can help accelerate moisture intake so that it also provides the vital nutrients for optimal growth. Using our Moon Juice can also help protect our trees and plants from the colder weather so that they can get a head start when spring comes. Be sure to apply the water only as fast as the soil can absorb it. Adding water too quickly can cause erosion, is a waste of water and compacts the surface of the soil. While our temperatures tend to stay on the comfortable side, we do get those nights and days when the temperatures drop to freezing or frost conditions. When temperatures dip this low, we recommend covering your plants with a frost cloth. A frost cloth can help insulate your trees and plants and can also help them retain ambient heat that comes from the soil. You can also use burlap or other cloth materials. However, NEVER USE A PLASTIC COVER because plastic material increases the chance of freeze damage! Once the sun rises and the temperature has risen above freezing, remove the cover! Once the sun rises and the temperature has risen above freezing, remove the cover. Chinese Pistache, we love to grow them and plant them. After all, we are the grower of these beautiful big trees with the vibrant fall colors that bring a touch of New England to yards throughout Las Vegas and Nevada! Our Red Push Pistache cultivar is even better! In fact, this variety is guaranteed to produce the vivid fire-engine red color that you cannot help noticing as it conjures up memories of east coast fall foliage. These are the perfect trees for Nevada. They have incredible drought-tolerance as well as thicker leaves and a large canopy that provides the shade you need to block out the sunlight during those blazing hot sunny days! It is easy to see why Chinese Pistache is a top fall tree for any landscape in Nevada. The best time to plant this Pistacia tree is right now. They are an excellent shade tree, so much so that proper planting around your home may be able to reduce the temperature inside. We value engineer our trees so that so you get largest trees at best price! Why wait for these trees to get big when you can get them at the perfect size now? 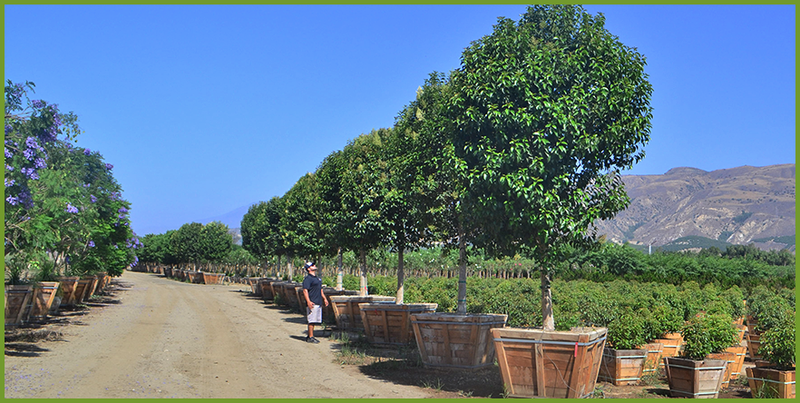 At Moon Valley Nurseries, we are the grower so that we have big trees available! Our ‘Red Push’ cultivar is more disease and pest resistant and they are ready to bring that cool shady relief! It is deciduous, so it can block the sunlight during the summer and let the warmth of the sun in during the winter! Of course, it puts on a spectacular fall foliage show before losing its leaves too! So where is the best place to have one of these attractive trees planted? Read on for more information on where to plant, as well as on how to care for Chinese Pistache trees! These trees love our hot, dry climate, so plant Chinese Pistache trees in a sunny spot in your yard and enjoy the view. It loves the sun, so it should be planted in a place that gets at least 6 hours of direct sunlight per day. They have a spreading canopy, so give them a little room to spread so that the canopy can provide the shade you want! This deciduous is a reliable tree for streetside planting and ready to bring plenty of shade and beauty to patios, gardens and lawn areas! Say yes to drought-tolerant trees and hello to the Red Push Pistache, a water-wise tree that tolerates the heat too! 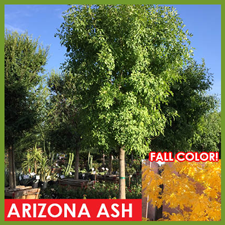 This colorful tree is not too picky about soil conditions, in fact, it prefers that the ground is not too wet, so this makes them ideal for growing in and around the Las Vegas area! While the tree is acclimating to its new environment, it is a good idea to water at least twice a week until it has been established. We recommend checking the soil once a week, and it is good practice to water when only the top one-inch is dry. Prune as needed so that it reinforces the structure and form of the tree. If you have a young tree, prune in early winter so that it aids in establishing their umbrella-shaped canopies that bring that lovely shade. Periodic thinning is good practice. That said, in the summer, be careful not to remove more than 30% of the canopy because this can lead to sunburn injuries to the tree and pave the way for a wood boring insect infestation. Plus, who wants to prune during the dog days of summer in Las Vegas anyway?! Pistacia chinensis ‘Red Push” Pistache #FREEPLANTING! If we could give this tree a high five, we would! Yes, we love the Red Push Pistache variety and so do our customers. It got its name because as new foliage emerges in spring, it is reddish before the leaves turn into the rich, dark green color in the summer and back to red in the fall! Anyone looking for a beautiful shade tree with lots of stunning fall color can do no wrong with this top tree for Nevada. If you want this tree now, take advantage of our #freeplanting service! 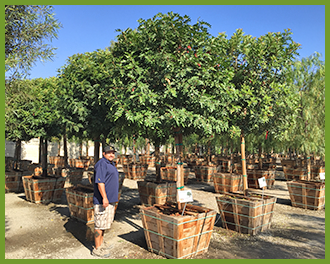 We are the largest box tree grower in America that can bring the trees to your house and plant them for you! 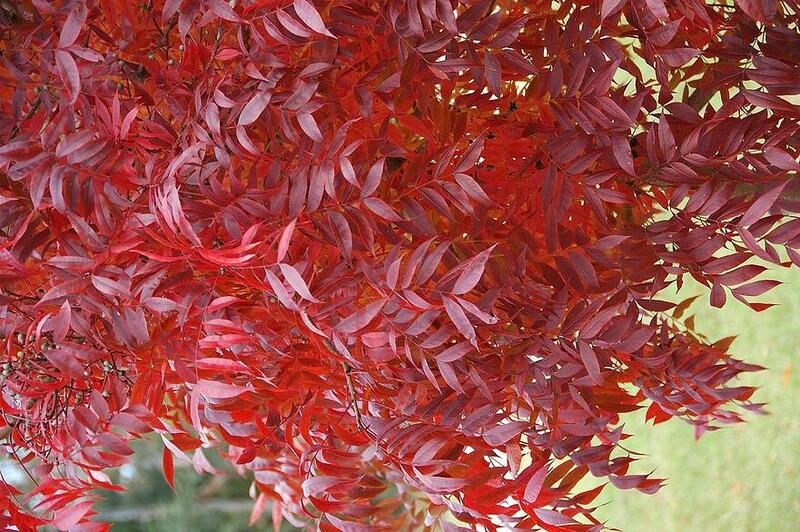 Our professional designers will help you design and plant your yard with specimen Red Push Pistache trees! The Southwest is a beautiful place, and though we live in an arid environment, we welcome any greenery, especially from our grass lawns. So whether we use lawns to practice a golf swing, toss the football around with our kids, or just like the way the green color contrasts with the natural scenery, keeping it lush and green all year long takes a little effort. Of course, rising to the challenge of keeping it green all year long brings many rewards, so keep on reading to know how to properly reseed for winter lawns so that you can achieve the best results! Overseeding, we do it to help fill in those areas that were damaged during the summer months so that it can revive your lawn. Of course, many homeowners in our area keep their grass green all year long by planting Ryegrass in the fall and Bermuda grass in the spring. What is the best grass seed? One of the best methods to keeping a grass lawn green through the Southwest winter is overseeding with Perennial Ryegrass. Ryegrass is a beautiful dark green lawn, which is why many around here feel that winter lawns are much more attractive than summer lawns! So, when is the best time to reseed for winter lawn? In our area, the cool fall nights make for the perfect planting weather. In fact, once the temperatures in Arizona and Las Vegas get anywhere from the low to mid 60’s and into the 70’s, we can overseed! The reason you want to reseed when the temperatures are cooler is that the sun can bake the seedlings. The window of opportunity is small, so be sure to keep this in mind! 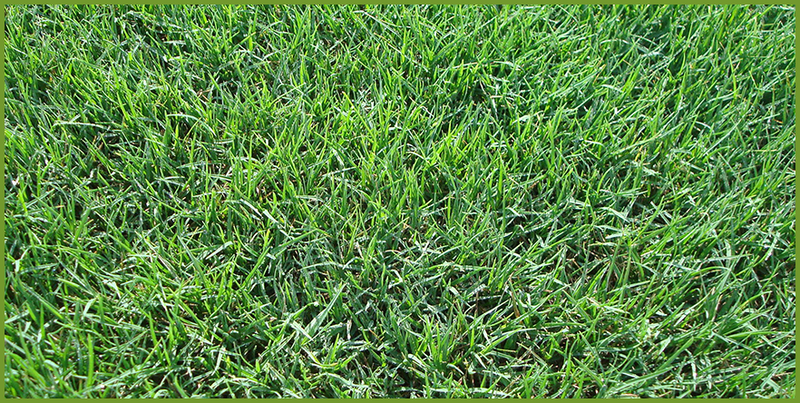 RESEED FOR WINTER LAWN: Step-by-Step! 1. Scalp and dethatch: first things first, you need to cut that summer grass back and thin so that it allows room for your new grass to grow. The removal of thatch and leaf accumulation ensures that the seed gets down to the soil. Yes, you might have to mow your lawn two or three times to get the grass down to the preferred ¼-inch to ½-inch height, so if you have got children that want to earn some extra cash, this might be an excellent opportunity to instill some good work habits! 2. Seeding: once the grass is at the preferred height, you can start to spread the Ryegrass seed (our Moon Valley Nursery pros always recommend using Perennial Ryegrass because it is the best choice for Arizona and Nevada.) Spread the seeds half in one direction and the other half in a direction that is perpendicular to the first because doing this will minimize overlap and skips. For best results spread the seeds as evenly as you can. 3. 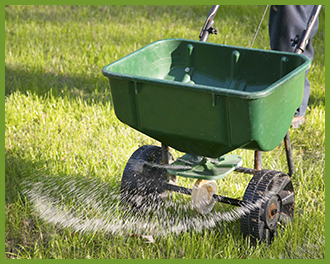 Fertilize: before you turn on the water, be sure to fertilize. Feel free to speak with any of our in-house experts, and we will be glad to help you select the perfect fertilizer. We carry the perfect blends at any of nurseries for the best results! 4. 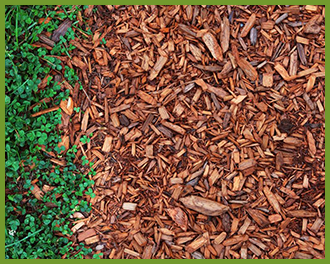 Mulching: we recommend applying mulch if you do not have a good irrigation system, if you do not have an easy way, such as a timer, that can water 4-5 times a day, or if the temperatures have cooled down too fast. A well-composted mulch (available at all of our nurseries) will help to retain moisture and heat, all things necessary for germinating perennial Ryegrass. Once you have spread the seed, you will want to spread the mulch evenly over the entire lawn and do it to 1/8-inch to ¼-inch thickness. 5. Water: when reseeding for a winter lawn it is critical that you water because maintaining a moist seedbed for 7 to 10 days will allow the seed to germinate. Water about four to five times a day but be sure not to leave any puddles or any dry spots. Don’t worry, once the seed has germinated and grown to a height of ¾-inch to 1-inch, you can reduce the watering to 2 to 3 times and day, and after 10 to 14 days, you will want to reduce watering to once a day. 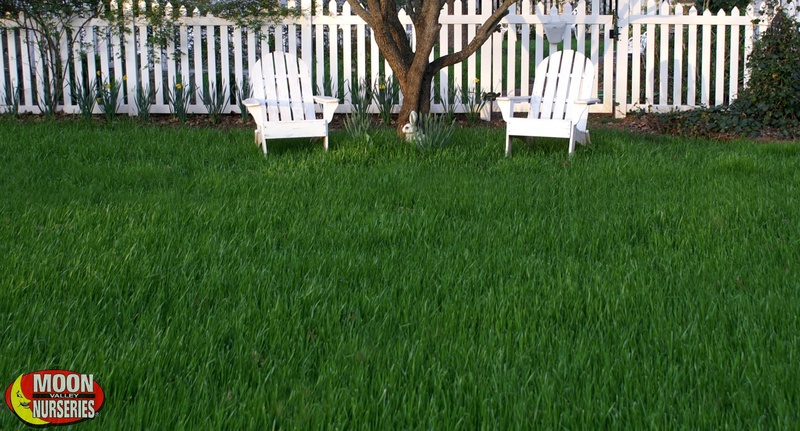 Once your new lawn is established, you can water every other day in the winter. 6. Mowing: yep, your mower is getting some nice wintertime action! 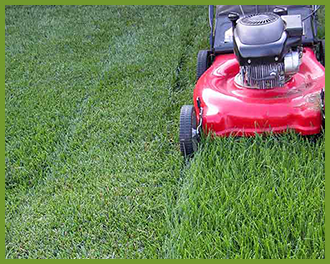 With your new beautiful winter lawn, the first mowing should happen at the 10th to 14th day after germination. To prevent pulling out your new young seedlings, never remove more than 30-percent of the leaf at one time. You will want your first cut to be at the height of about ¾-inch to 1-inch, of course, if you like a higher lawn then you ought to mow 14 to 21 days after germination. 7. Nutrition: winter lawns require feeding too, so be sure to ask any of our Moon Valley Nursery pros for the best fertilizer to feed your new lush and beautiful winter lawn! The winter season has finally arrived. It's time to dust off the Christmas lights, prepare your home for holiday visitors, and plant in your landscape..and yes, we're serious! Our region is unlike the majority of the country who face freezing temperatures which preventing planting. Because our soil does not freeze over we are still able to plant in ideal conditions. This is because the soil will retain warmth while the outside temperature plunges. With a warmer soil newly planted trees will spend the winter months establishing their root system before spring growth and especially those hot summer days. Take advantage of this ideal season to plant. Trees planted now will look fantastic in the spring and below are our top picks to plant during the winter months. This evergreen tree may be native to Brazil, but it is right at home in our climate. 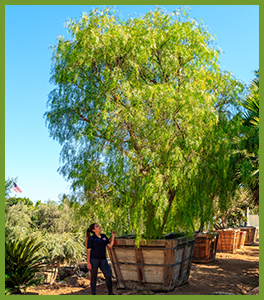 This tree is one of the best water wise trees we carry at Moon Valley Nurseries and it just absolutely thrives in our sun and heat. It's lush and thick umbrella shaped canopy is supported by its dense branches that criss-cross and spread out from the main trunk. It produces white flowers in late spring and in the fall and winter it produces pinkish colored fruits in clusters. Many homeowners use these berries during the holidays for crafty displays. Even though this tree has the name "pepper" in it, it is vastly different when compared to the Brazilian Pepper. The California Pepper is originally from South America, but it has found a home in our region. It is an evergreen tree that displays a weeping appearance that is graceful looking. It thrives in our sun and it produces a broad canopy of layered shade. It grows more upright than it does wide and it is supported by its strong trunk and branches. The California Pepper also produces red-colored berries in small and rounded clusters. It requires minimal water once established. The Japanese Privet is an ideal solution for those who want an evergreen, low maintenance tree for a small to medium sized area. The Japanese Privet, while commonly seen in large shrub or hedge applications, can also be grown easily as a small to medium tree as shown. Ideal for courtyards in smaller patio homes, Privet trees are even clean enough to plant near pools. Plant in rows or groups for privacy at upper level of the tree with shade below. Sentinel of the Mediterranean, the Italian Cypress has announced formal entrances, borders and backdrops for the grandest properties in the most picturesque cities on Earth. Unmistakable with their lush green foliage and tall, narrow upright form, these long lived specimens of grandeur are well suited to modern living. Their natural ability to thrive in sunny climates on a minimal amount of water makes them a popular choice for just about any landscape. 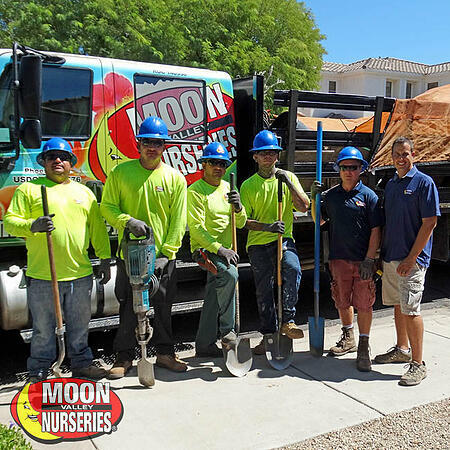 Moon Valley Nurseries is your one stop shop for all your landscape needs. Our experts have decades worth of experience and they will be able to assist you with any projects or questions you may have. Remember to change your watering schedule as we enter the winter and be sure to map a Moon Valley Nurseries locations right here.